Metals 'R' Us in Dartmouth has invested in top-quality equipment that allows us to cut your metal order to size quickly, accurately and efficiently while you wait. For instance, we’ve acquired a new ½-inch shear machine. Take a look at our equipment here and contact the metal shop Halifax and the Maritime Provinces use most! 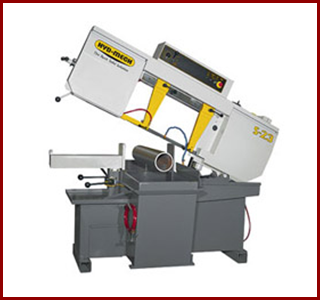 We have Barcorp® Preci-Cut® Hydraulic Shear complete with programmable back gauge. Capable of shearing mild steel up to 8’ wide, 1/4" thick and a Ermaksen Hydraulic shear complete with touch screen measuring back gauge. Capable of shearing mild steel up to 10’ wide and 1/2” thick. 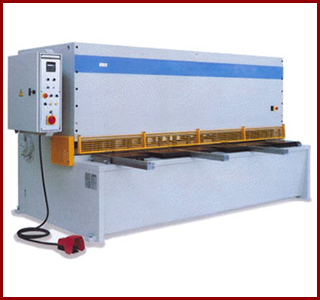 - HYDMECH S-20A equipped with cool mist spray, automatic CNC controls, miter cutting capable with 13’6” bandsaw blades able to cut widths up to 16”. 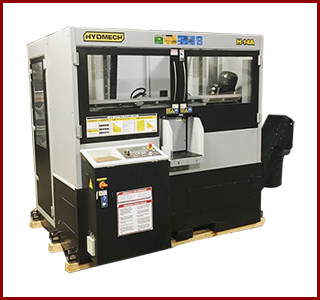 - HYDMECH S-23A equipped with cool mist spray, automatic CNC controls, miter cutting capable with 15’6” bandsaw blades able to cut widths up to 18”. 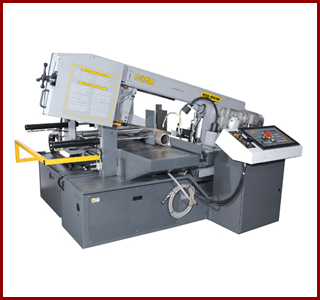 We have one gravity fed manual HYDMECH S-23 steel bandsaw.